We have been studying the Duqu Trojan for two months now, exploring how it emerged, where it was distributed and how it operates. 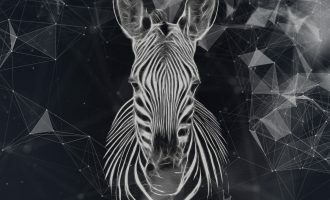 Despite the large volume of data obtained (most of which has yet to be published), we still lack the answer to the fundamental question – who is behind Duqu? 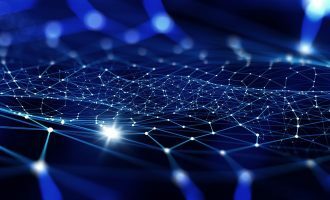 In addition, there are other issues, mostly to do with the creation of the Trojan, or rather the platform used to implement Duqu as well as Stuxnet. In terms of architecture, the platform used to create Duqu and Stuxnet is the same. This is a driver file which loads a main module designed as an encrypted library. At the same time, there is a separate configuration file for the whole malicious complex and an encrypted block in the system registry that defines the location of the module being loaded and name of the process for injection. This platform can be conventionally named as ‘Tilded’ as its authors are, for some reason, inclined to use file names which start with “~d”. We believe Duqu and Stuxnet were simultaneous projects supported by the same team of developers. 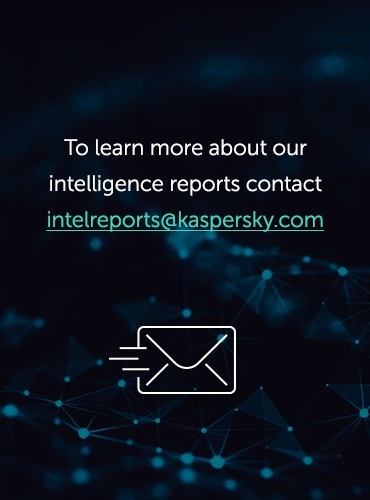 Several other details have been uncovered which suggest there was possibly at least one further spyware module based on the same platform in 2007-2008, and several other programs whose functionality was unclear between 2008 and 2010. These facts significantly challenge the existing “official” history of Stuxnet. We will try to cover them in this publication, but let us first recap the story so far. Let me start with a question: how many Stuxnet driver files are known? As of today, the correct answer would be four. See below for more information about them. The first modification of the Stuxnet worm, created in 2009, used only one driver file – mrxcls.sys without a digital signature. In 2010, the authors created the second driver mrxnet.sys (to hide the worm’s component files on USB drives) and equipped mrxnet.sys and mrxcls.sys drivers with digital certificates from Realtek. The mrxnet.sys driver is of no great significance to our story, as it is a separate module not included into the general architecture of the platform. 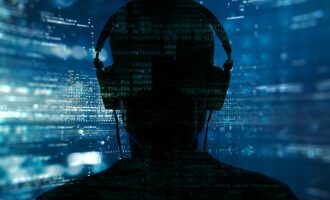 On 17 July 2010, ESET detected another driver “in the wild” – jmidebs.sys – which was very similar to the already known mrxcls.sys, but had been created just three days before it was discovered. 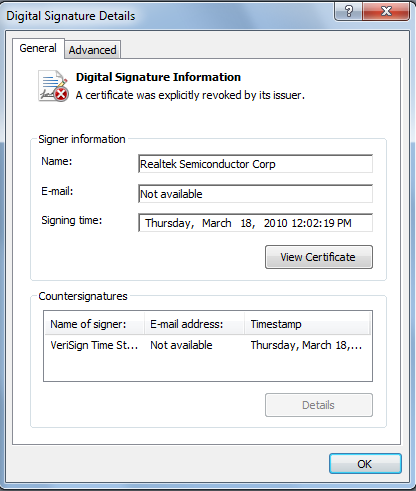 This driver was backed with a new certificate – this time from Jmicron. Until recently it was unclear what the purpose of this file was, but popular opinion held that it was related to Stuxnet. One theory is that the Stuxnet C&C was trying to replace the old version with the Realtek certificate with a new one. In doing so, the authors of the worm were either hoping to prevent it being picked up by antivirus programs, or were replacing a certificate which had been blocked. Unfortunately, this theory has not been confirmed – Jmidebs.sys has never been detected anywhere. A new version of Stuxnet capable of installing the file has also not been found. This is the official history of Stuxnet. However, as I mentioned above, in the course of our research we have discovered new evidence which will be discussed below. While analyzing a user incident involving Duqu, we discovered something new – something that could, potentially, affect the whole Stuxnet story as we know it. A strange file was discovered on the victim’s computer, which was detected by our antivirus engine as Rootkit.Win32.Stuxnet.a. This verdict was supposed to correspond to the known file mrxcls.sys described above, but the detected file’s name and checksum were different! The file was rtniczw.sys, 26,872 bytes in size, MD5 546C4BBEBF02A1604EB2CAAAD4974DE0. The file was a little larger than mrxcls.sys, which had a Realtek digital signature. This implied that rtniczw.sys also had a digital signature. 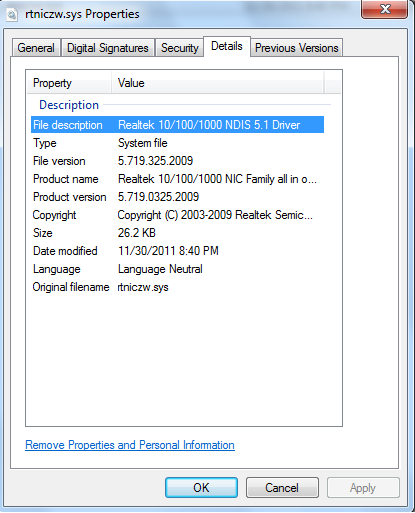 We managed to get a copy of the file, and we were amazed to find that it used the same Realtek certificate, but with a different file signing date from mrxcls.sys: rtniczw.sys was signed on 18 March 2010, while the mrxcls driver had been signed on 25 January of the same year. In addition, rtniczw.sys used a registry key and configuration data block that was not used in Stuxnet. Stuxnet used the key “MRxCls” and the value “Data”, while in the case of rtniczw.sys, the key was “rtniczw” and the value was “Config”. Detailed analysis of the code found in rtniczw.sys identified no other differences from the ‘reference’ driver: this was the same mrxcls.sys file, created in the same year, on the same day and hour – on 1 January 2009. We searched for additional information about other users who had the same file, but were unable to find anything! Moreover, we could find no information at all about the file’s name (rtniczw.sys) or its MD5 in any search engine. The file had been identified only once: it had been sent for scanning to VirusTotal from China in May 2011. Apparently, the system that we were studying had been infected in late August 2011. It should be noted that we did not find a Stuxnet infection on the system: no additional files from the Stuxnet kit had been found. However, we did find Duqu files. We came to the conclusion that there could be other driver files similar to the “reference” file mrxcls.sys, which are not among known variants of Stuxnet. the file’s compilation date is 20 January 2008, i.e. a year before mrxcls/rtniczw were created. 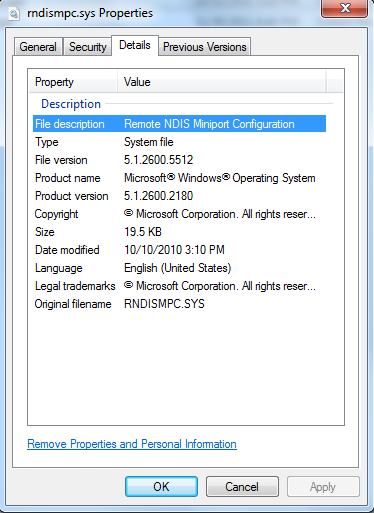 Like rtniczw.sys, the file rndismpc.sys had never been encountered on our users’ machines. We do not know which malicious program installed it or which main module it was supposed to work with. *Known Duqu drivers have unique file names for each of the variants. Their functionality, however, is absolutely identical. According to our analysis, jmidebs.sys is the connecting link between mrxcls.sys and the drivers later used in Duqu. The code of mrxcls and jmidebs drivers is largely similar. Some small differences may be due to different settings and minimal changes in the source code, while the point of the code remains the same. The version in mrxcls uses the function MmGetSystemRoutineAddress for this purpose and the respective text names of the addresses of incoming API functions. The version in jmidebs calls its own functions to obtain API addresses using hash-sums of their names. The same functions are used in Duqu drivers, while the list of functions’ hashes is twice as long. The mrxcls version uses a stub with a total size of 6332 bytes. The jmidebs and Duqu drivers use stubs with a total size of 7061 bytes. The code used in the stub modules for these drivers is identical, but has different compilation dates. We have mapped out the links between known drivers whose evolution and key stages of development are easy to track. As you can see from the diagram, it is not known which malicious program interacted with the following three drivers: rndismpc.sys, rtniczw.sys and jmidebs.sys. The obvious question would be: were they used in Stuxnet? In our opinion, the answer would have to be ‘no‘. First of all, if they had been used in Stuxnet, they would have left a far bigger footprint than the individual cases we have detected. Secondly, there hasn’t been a single variant of Stuxnet that is capable of interacting with these drivers. The file rtniczw.sys was signed on 18 March 2010, but on 14 April 2010 the Stuxnet authors created a new variant of the worm that made use of the “reference” mrxcls.sys. It is obvious that rtniczw.sys was intended for some other use. The same can be said of jmidebs.sys. We believe that the three drivers are only indirectly related to Stuxnet and can safely be erased from Stuxnet history. Then there is another question: could these drivers have been used with Duqu? There is no clear-cut answer here. Although all known variations of Duqu are from the period November 2010-October 2011, we believe there were earlier versions of the Trojan spy created to steal information. The three drivers in question could easily have been used in early versions of Duqu or with other Trojans based on the Stuxnet/Duqu platform. Like Duqu, those Trojans were most probably used in targeted attacks before the appearance of Stuxnet (dating back to at least 2008), both while it was active and after its C&C was shut down. They were likely to have been parallel projects, and Stuxnet was subsequently based on that accumulated experience and the code that had already been written. It seems highly unlikely that this was the only project that its authors were involved in. Let’s try to imagine what the driver creation process looks like. A few times a year the authors compile a new version of a driver file, creating a reference file. The primary purpose of this file is to load and execute a main module, which is created separately. It could be Stuxnet, or Duqu or something else. 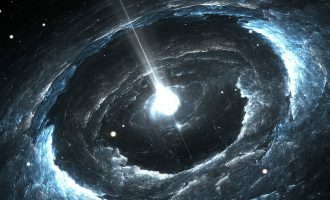 When it is necessary to use a driver for a new module, the authors use a dedicated program to modify information in the driver’s “reference” file, i.e. its name and service information as well as the registry key and its value. It’s important to note that they tweak ready-made files and don’t create a new one from scratch. This means they can make as many different driver files as they like, each having exactly the same functionality and creation date. 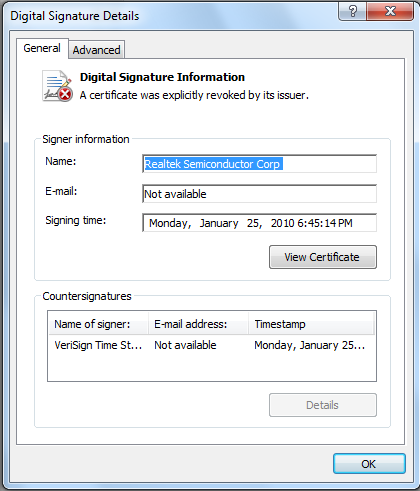 Depending on the aim of the attack and the Trojan’s victim, several driver files can then be signed with legitimate digital certificates whose origins remain unknown. From the data we have at our disposal, we can say with a fair degree of certainty that the “Tilded” platform was created around the end of 2007 or early 2008 before undergoing its most significant changes in summer/autumn 2010. 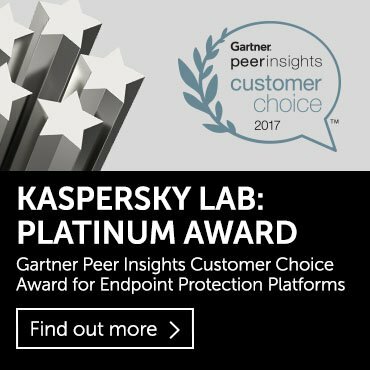 Those changes were sparked by advances in code and the need to avoid detection by antivirus solutions. There were a number of projects involving programs based on the “Tilded” platform throughout the period 2007-2011. Stuxnet and Duqu are two of them – there could have been others, which for now remain unknown. The platform continues to develop, which can only mean one thing – we’re likely to see more modifications in the future.